Lush & Simon are one of the most promising young talents in today’s EDM scene. Their distinctive sound is created from unique and catchy melodies surrounded by a pure energetic vibe making each song a memorable one. With international support growing from the world’s most renowned DJs and producers including Tiesto, Hardwell, David Guetta, Nicky Romero, Martin Garrix as well as two successful bootlegs under their belts with OneRepublic (‘If I Lose Myself’) and Sebastian Ingrosso & Tommy Trash (‘Reload’). 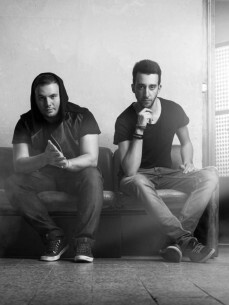 Italian’s emerging electronic duo Lush & Simon have signed with legendary dance music imprint Hardwell’s Revealed Recordings. Following their hit (“Adrenaline”) which became one of the most supported tracks of 2013 with supports from Tiesto, Hardwell, David Guetta, Avicii, Axwell, Steve Angello, Alesso, Nicky Romero, Martin Garrix, Thomas Gold, Quintino, Dyro, to name a few and ranked at #1 in the DMC Buzz Chart. The duo truly impressed with their originally produced material, including Armada's ‘City Of Lights’. Premiered by Tiesto and supported by the world most famous DJs, 'City Of Lights' has even been aired on the legendary American electronic dance radio station SiriusXM BPM.